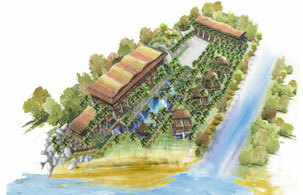 WAS Group are Phuket's leading architecture, engineering and interior design company. With a highly experienced team of architects, engineers and interior designers and 10 years experience in the business we can guarantee the highest standard and quality of design for your property. Our architectural designs include Commercial and Office premises, Residential buildings including Condominiums along with Hotels and Resorts. Engineering designs include civil and structural, mechanical, electrical and sanitary. We create the quality to respond to the client's requirements.